When the calendar flipped from 2014 to 2015 few in the St. Louis MMA game were paying much attention to Adam Meredith. And you couldn't blame them. After a monstrous amateur career, Meredith had faded in and out of the fight game averaging about a fight of the year. In 2014 he had one fight, a dandy of one at that, in a win over Joel Blair. With renewed vigor, Meredith took over. 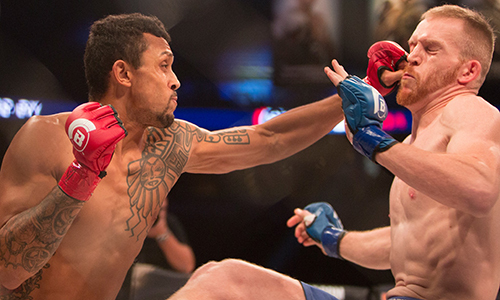 He started the year with a K1victory over Darryl Cobb. Then from May to November, Meredith won three straight MMA bouts, all finishes and all against top tier talent. For these reasons and more, Meredith was named the 2015 STL MMA Regional Pro Fighter of the Year. "My reason for voting for Adam is that he's more than just a great fighter," Jayson Cooper, President of Spire MMA Sanctioning, said. "He's a class act inside and out of the cage, he's smart, and he's a leader. He took a big step this year and proved that he can work, get degrees, be a father, train and still beat legit opponents." A product of Jefferson City, Meredith is aptly nicknamed "The Professor." He earned a bachelor's degree in Business Administration and followed that up by earning a master's degree in Healthcare Administration. The welterweight is now 5-1. "I have known Adam for a little while and I like how he fights," Fighting for Autism's Brian Higginbotham said. "He's gone two years without a decision. I think he defines what it takes to win an award of this caliber. He is always trying for the finish, which is something you don't see all the time. He has the right mentality, physical stature, and team. He doesn't talk trash, he's incredibly intelligent and is technically sound with is standup, clinch work, wrestling, and ground game. He lives the lifestyle, too." 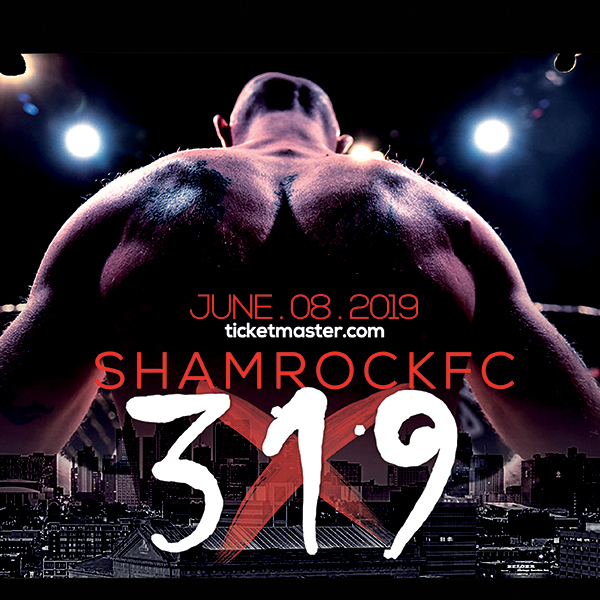 After the K1 bout with Cobb, Meredith took a short notice fight in Springfield, Il, where he choked Quartus Stitt and got the tap in a little over 90 seconds, snapping Stitt's three-fight win streak. 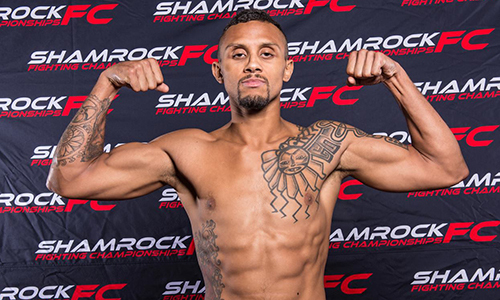 Meredith then signed with Shamrock FC and his first bout with them was against Manny Meraz in Kansas City. Meredith handed Meraz (7-1) his only defeat and nearly broke Meraz's arm in the process. "I was extremely impressed with Adam Meredith." Jesse Finney told KJ. "Round one could have went either way. I actually had him losing the fight in round two, it seemed like almost he was playing possum and at the last minute he pulled out a super slick armbar, I think he broke his arm. I was super impressed with the way he hung in there." In that fight, Meraz stung Meredith in the first under the left eye. The swelling was pronounced and Meredith admitted later it was impairing his vision from that eye in the second round. During scramble from a takedown Meredith grabbed an arm bar. Meraz refused to tap and fought hard to break the hold but it was secured too deep to escape. Meraz finally tapped painfully at 3:50 of the second round. "I wasn't very happy with my movement on the ground." Meredith said afterwards. "I felt like I was just resting there a little too much, but I felt comfortable on the ground. Once I got back to guard he just left his arms hanging out there, I could have taken either arm, and I just went for the armbar." Meredith then made his first trip to the Bellator cage in November where he faced another one of St. Louis' top welterweights, Jordan Dowdy. Meredith went to work quickly, landing a sharp shot and pressing Dowdy against the fence. While there, Meredith landed a handful of sharp knees, pulled off a nice trip, took Dowdy's back and got the rear naked choke at 1:54 in the first round. "I feel like the key moment of the fight for me was the knees to the body I landed against the cage." Meredith said. "That really sucked the life out of him. That allowed me to get that body lock and take him down and finish from there." Meredith spent the bulk of his amateur career at middleweight and was one of the top fighters in the area before turning pro and then amassing a 4-1 record at welterweight. Along the way as an ammy he would tangle with some of the area's toughest fighters like Jake Collier, Hugh Pulley, and Raymond Gray. "I've had a weird career." Meredith told KJ this fall. "I started fighting like seven years ago. Then I took a year off after I graduated college. I moved to Texas for about a year. That whole time I was in Texas I didn't train or fight. I came back to Missouri and maybe a year, year-and-a-half after I got back I finished out my ammy career. Then took another year off after going pro. Fought again. Then took another year off. I have had two-to-three really long layoffs. So now it's nice to have the momentum and to be dedicated in taking this somewhere." As 2016 starts, Meredith is now at the forefront, an afterthought no more. "Not only has Adam proven that he has all the skills necessary to compete at the highest level, but he also embodies the theories and ideals of martial arts outside of the cage as well," Erion Zekthi, KJ post-fight interviewer said. "Adam mixes technically sound striking with explosive jiu-jitsu in a way that makes him not just dangerous but unpredictable." As mentioned above, KJ reporter Jordan Dowdy competed against Meredith at Bellator and has a pretty good idea at his level of ability. "While Kurtz had an amazing year, I feel that Adam had the tougher competition." Dowdy said. "Lets also not forget his XFN2 match-up with Darryl Cobb to start the year. Taking out an undefeated Meraz in KC was impressive. He really should have had another opportunity at a big fight, but there is a reason Adam has had a hard time finding fights here and has had to travel." 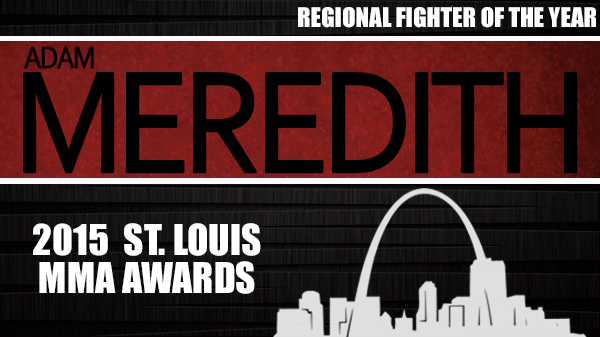 Other nominees for Regional Pro Fighter of the Year include: Kendrick Latchman, Kyle Kurtz, Joaquin Buckley, Rebecca Ruth, and Jake Roberts. Voting on the 2015 STL MMA came from a collection of area promoters, coaches, media, and others. The panel consisted of Brett Auten (Knuckle Junkies), Steve Berger (Berger MMA/FitorFight), Travis Brown (Vavel USA), Jason Carr (Spire MMA Official/Knuckle Junkies), Jayson Cooper (Spire MMA president), Jared Daniels Block (Modern Combat System), John Davis (cutman), Rob Donaker (Shamrock FC COO/ matchmaker), Jordan Dowdy (Knuckle Junkies), Sid Gee (cutman/coach), Kevin Hahn (Hahn's MMA), Brian Higginbotham (Fighting for Autism), Jesse Finney (Shamrock FC President), Rob Francis (Spire MMA Official), Jeremy Johnson (That MMA Show), Steve Knogl (CMMA), Sara Levin (slevin11.com), Craig Nasselo (cutman), Kenny Nowling (Fight Hard MMA/Gladiator MMA), Matt Pearlman (tapoutandtko/teens on sports), Jimmy Range (Jimmy Range Photography), Mike Rogers (St. Charles MMA), Kain Royer (Fight Hard MMA/Gladiator MMA matchmaker) Patrick Smith (Cage Championships), Josh Stewart (Spire MMA Referee), Joe Worden (Destruction MMA), Erion Zekthi (Knuckle Junkies), Heath Pedigo (Pedigo Submission Fighting).